Great look and love the shoes! Black and white is always good combo, looks great! Girl you can do NO wrong! This is so chic! 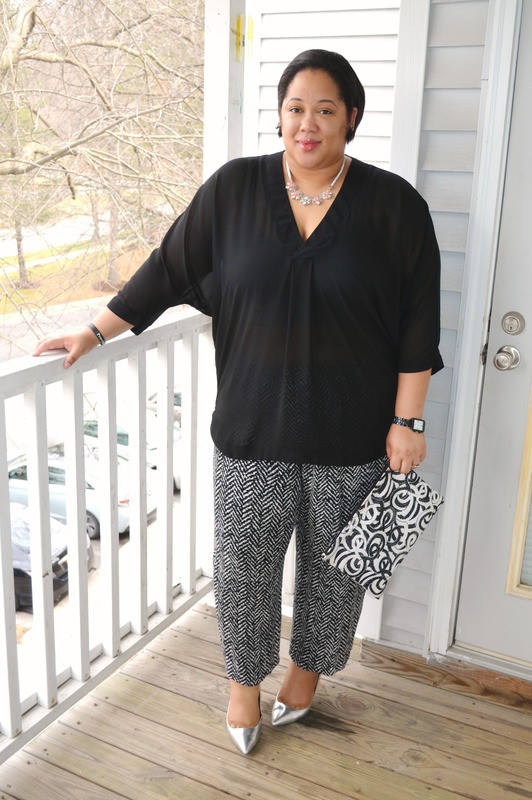 Sis you know how much I love my black and white – this is a classic combination that never goes out of style – tomorrow I will be wearing my black and white Palazzo Pants as well. Happy Anniversary again! Antionette Blake recently posted…Coupons of this week! 🙂 Thanks, big sis! Black is white is so classic. 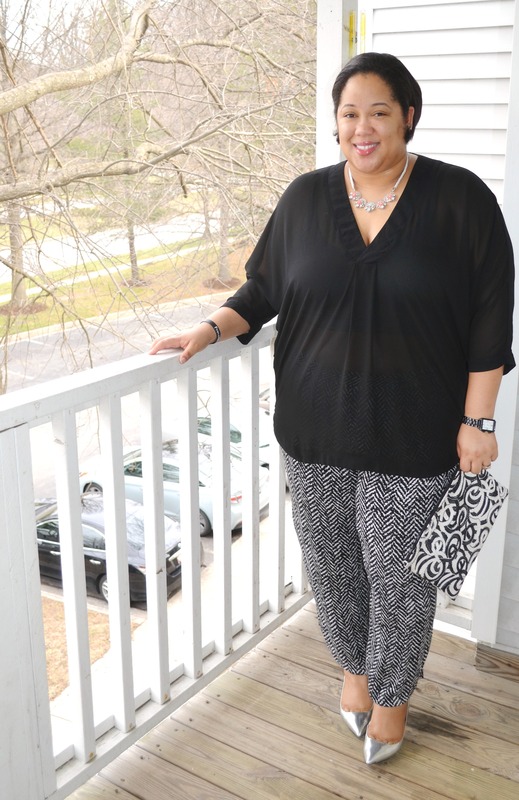 i love prints and bold colors but i ALWAYS gravitate towards black & white. it’s so chic! and so is this outfit! 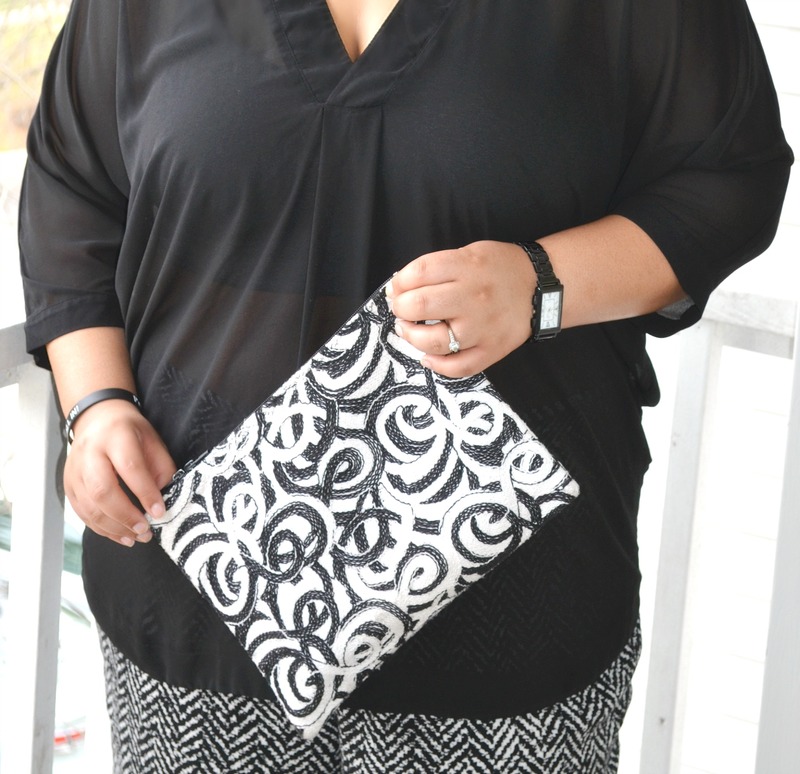 Love how you made this monochome look interesting with a mix of prints and the touch of metallic! Nothing beats a great black and white outfit! Love those pants! I love those metallic heels! So chic! And black and white is so classic! Love this outfit on you.So simple and gorgeous. Just LOVE it. The clutch and heels are the bomb! I really need to add some silver or metallic heels to my collection! Thank you! I LOVE this clutch. One of my favorites from Cortnie. 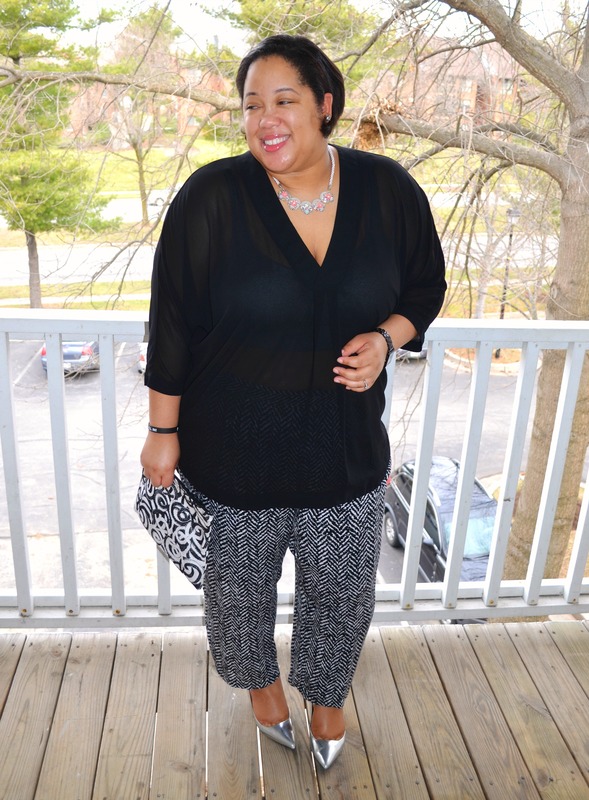 Love the minimal looks, cute top, I have one similar to it that I wear every season. Very cute twist on minimalism. I love the clutch and metallic pumps. I love a great black and white combo like this one. Your clutch is totally stealing the show – just Love it!